Beautifully Designed Capri Fitness Knickers stay in place during your fitness routines. These capri length knickers fits your curves spectacularly and as you wear them they will feel like a second skin. Great Yoga Pants and Running Capri's giving you freedom of movement without any restrictions while gently hugging your muscles. The fabric is very stretchy yet dense enough to keep its shape when wet. The Supplex Fabric is soft like cotton but holds it's shape, is rugged for abrasion and holds its color. The fabric is a microfiber, nano-engineered to simulate the softness of cotton while maintaining the strength and durability of nylon fabric so it is supremely soft and stretchable. Feels Like a Second Skin! * Soft, Durable, Stretchy Pants that Last! * 3M Scotchlite Reflective Details Make You Visible En-route. * Messaging Comfort Covers your Knees. * So Good Looking as they Hug Your Curves * Fantastic Color Accents! You Will Live in These Fitness Capris. Yoga Pants, Cross-Fitness Capris, Running Knickers Your New Favorite Workout Pants! You will find yourself reaching for them every day! Durable fabric holds the color and shape. The Women's Victoria Capri length knicker fabric is Supplex branded spun nylon which feels like cotton yet has the rugged durability of a stronger nylon fiber. 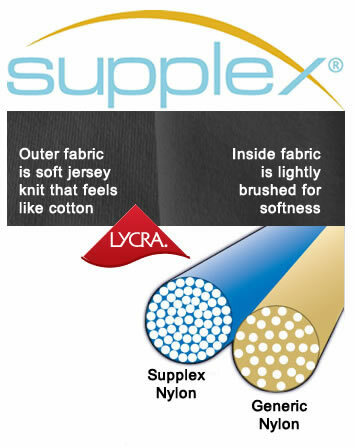 Supplex is an engineered micro nylon fiber that is nano-engineered to simulate the softness of cotton while maintaining the strength and durability of nylon fabric. This fabric is soft yet strong enough to resist abrasion. The Lycra holds its shape and hugs the body curves for an excellent fit with complete freedom of movement. My wife was impressed with the bike shorts I got from Aero Tech so she tried the knickers. Loves them. Has two pairs. These fit wonderfully, quality material and I love the reflective trim! I purchased the size based upon the size I currently wear in the classic compression workout capri's. Alas they were too small. Have been sent back, and already AeroTech have despatched the alternative capris. Great capris for a long ride! Helped in the morning when cool and kept sun off my legs when warm. 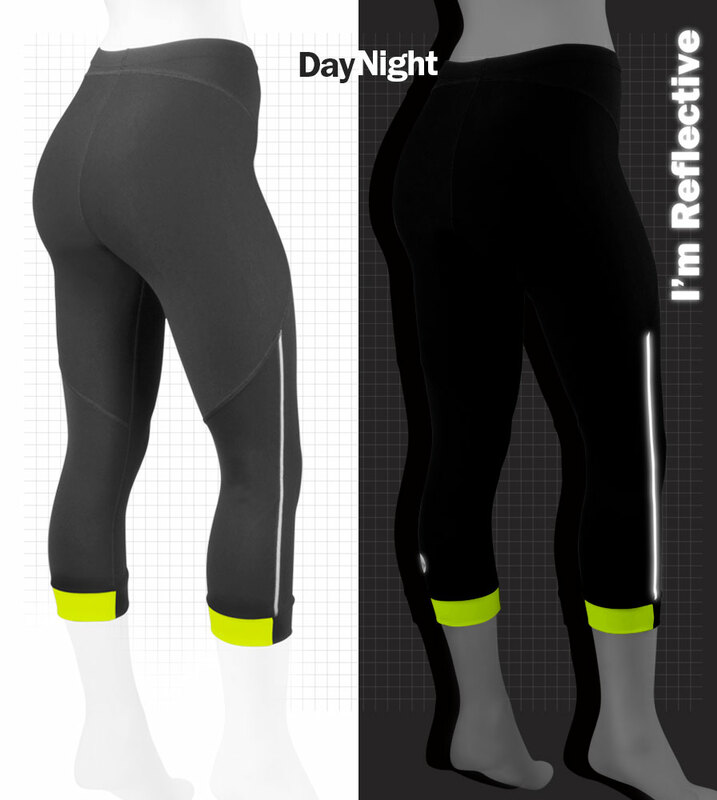 Good for dawn & dusk rides with reflective stripes.